Sea Star Sport Fishing Charters: Catching the Big Ones Since 1982! Owned and operated by veteran Oceanside skipper Captain Joe Cacciola, The Sea Star is a private group charter boat. We fish from Oceanside Harbor, about 45 minutes north of San Diego, California. 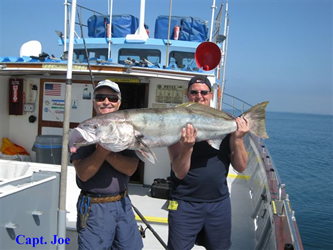 We offer charters for sport fishing, whale watching and floating marine science labs. For the late anglers and boat enthusiasts, we also offer burials at sea. When booking your stay, we ask for a 50% deposit and the time of reservation. We refund this deposit if you cancel with a minimum of 45 days advanced noticed. We ask that passengers be at the dock thirty minutes before the scheduled departure time, which follows shortly after all passengers have boarded and checked in. During our prime Oceanside sport-fishing season from April on into November, the day’s catch can consist of calico bass, sand bass, bonito, mackerel, barracuda, as well as halibut, sculpin, and sheephead. Albacore or bluefin tuna may be available if favorable conditions prevail during the summer months, and yellowfin tuna, skipjack, and dorado can swim within range during warmer water or “El Nino” years. Joe has developed a reputation for himself as a skipper who works very hard at finding the “hot bite.” The Sea Star is a 60-foot by 20-foot fishing machine with a solid fiberglass hull making the boat extremely strong and seaworthy. We have recently re-powered with twin 350 hp, Cummins diesel engines. These engines are much more environmentally friendly and have significantly lower harmful exhaust emissions. We supply food and beverage service from the excellent galley on board. We ask guests to refrain from bringing alcoholic beverages, including beer or ice chests, aboard. The State Alcohol Beverage Control Board governs these laws, and we must abide. In addition, anglers may not bring any firearms or illegal drugs aboard at any time. At Sea Star Sport Fishing Charters near San Diego we have the experience and expertise to help put you on the fish in some of the South Coast’s most productive waters, ranging from Dana Point south to La Jolla. Depending on the conditions, we may fish the local kelp beds and “clam beds,” or range up to 50 miles offshore to chase exotic species over the outer banks. We find the fish. During our prime Oceanside sport fishing season from April on into November, the day’s catch can consist of calico bass, sand bass, bonito, mackerel, barracuda, yellowtail, halibut, sculpin, sheephead, and various other fish. Albacore or bluefin tuna may be available if favorable conditions prevail during the summer months, and yellowfin tuna, skipjack, and dorado can swim within range during warmer water or “El Nino” years. Sharks – blue, mako, and thresher – can also be targeted from May through October, and during the winter months, we enjoy truly exceptional bottom fishing for rockfish. Deposits – A 50% deposit is required at the time of reservation and is only refundable with a forty five (45) day advance cancellation notice. Check In and Boarding Time – As indicated in the charter contract and for all trips, we ask that passengers be at the dock thirty minutes before the scheduled departure time. Departure Time – Will follow shortly after all passengers are boarded and individually checked in. 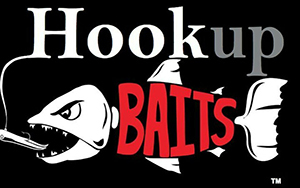 Tackle and Bait – Shakespeare Fishing Tackle and Penn Reel Co. Reels are available for rent from the boat. Be sure to inquire about how many rods / reels you will need when booking your charter. Hooks, sinkers, and jigs are available aboard the boat. Live bait, usually anchovies and / or sardines, are provided free on board. Fish Filleting – Filleting is available, for a nominal fee, from your deckhand, if desired. Filleted fish are packaged in plastic bags ready to be eaten or frozen. Licenses –We require proper licensing for passengers 16 years and older, whether sport fishing in Oceanside or not. Daily and yearly licenses are available for purchase from the landing office. You’ll need appropriate tackle and bait as well. Shakespeare Fishing Tackle and Penn Reel Co. Reels are available for rent from the boat. Hooks, sinkers, and jigs are available aboard the boat. Live bait, usually anchovies and / or sardines, are provided free on board. Fishing licenses are currently available for advance purchase online at the California Dept. of Fish and Wildlife website. Lodging – Available close by to fit all budgets. We can arrange accommodations for one to forty guests at discount prices. Reservations are highly suggested in the summer. Sea Star Sport Fishing is proud to be sponsored by Shakespeare makers of fine tackle and Penn Reel Co.. We now use and exclusively rent Shakespeare “Ugly Stick” rods and Penn “Spinning Reels”. For more information on Sea Star Sport Fishing, Please give us a call on our reservation line at 760-966-0111!